Evelyn’s love for life and learning were well known. She self-taught through correspondence courses to earn her BA. She was an accomplished poem writer and woodcarver. 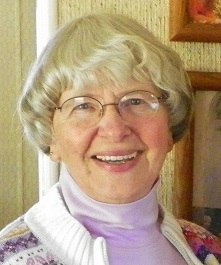 She loved gardening and horticulture, arts and crafts and photography. Her attention to detail was astounding. She was a nature lover and very aware and concerned for the environment. Next to her children, grandchildren, great grandchildren and the cabin, her flower gardens were her pride and joy. Evelyn was a stay at home mom until the children were older and then worked at the Finland Co-op for many years, bringing smiles to the faces of everyone she met. Evelyn was a member of the Finland Historical Society and participated in the St. Urho’s Day parade for many years. Her enthusiasm buoyed many spirits. She also spent many summers working at the Tettegouche State Park. 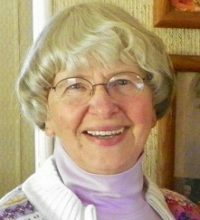 Evelyn is survived by her husband Ronald DeShaw, her three children, four grandchildren, and her seven great grandchildren, sisters – Shirley Ettestad, Myrn Calkins, and Kathleen Tupy, numerous nieces, nephews, extended family and friends.